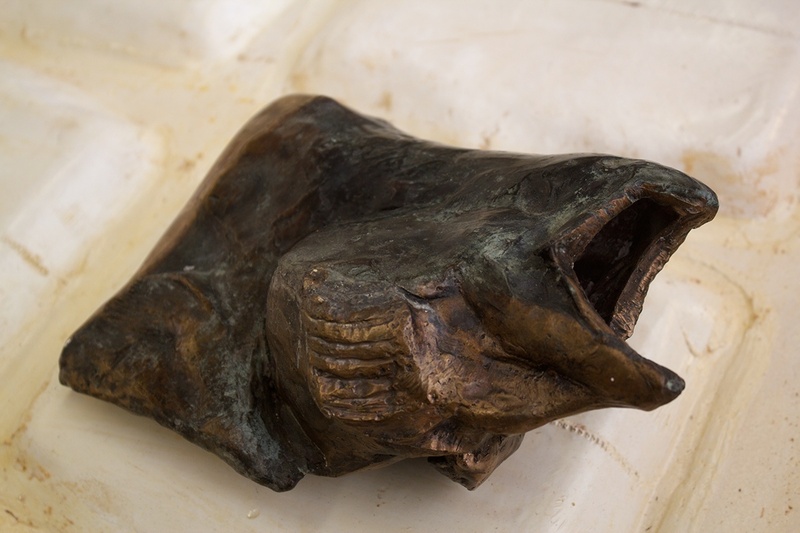 A Salmon's head, casted in a hanging position, inflated to mark its physical transition into world economy. 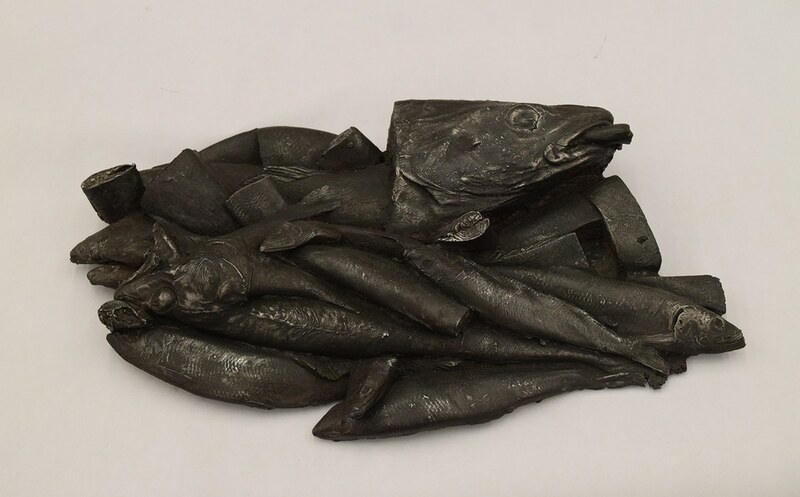 This piece serves for me as a quiet monument to the daily routine observed by many. 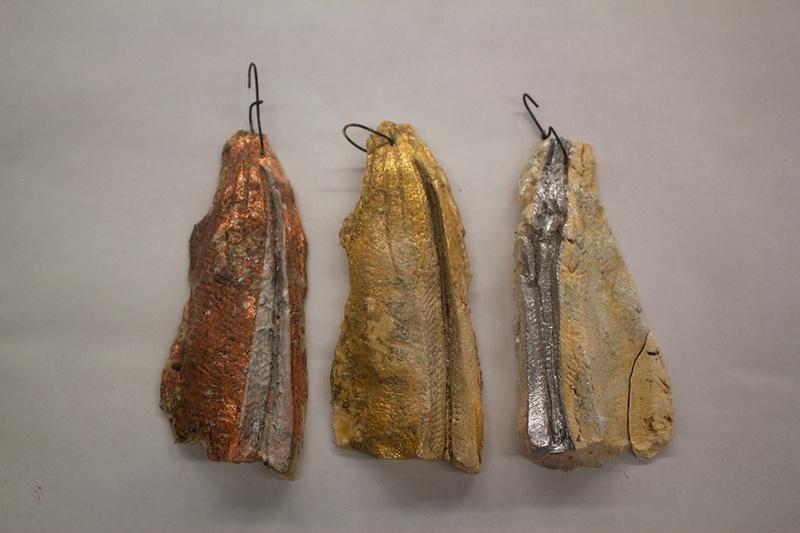 Casted trout Filets add a textural image reference to the graphic nature of lures as a beginning to the line of questioning that encompasses commodified bodies, through the language of geological materials who undergo similar cycles in their lifetimes spent as biotic, to the moment they become identified as abiotic. 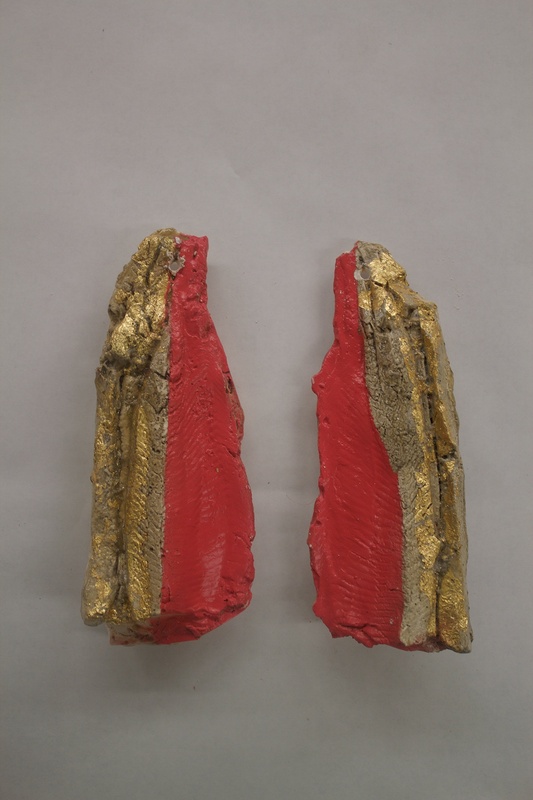 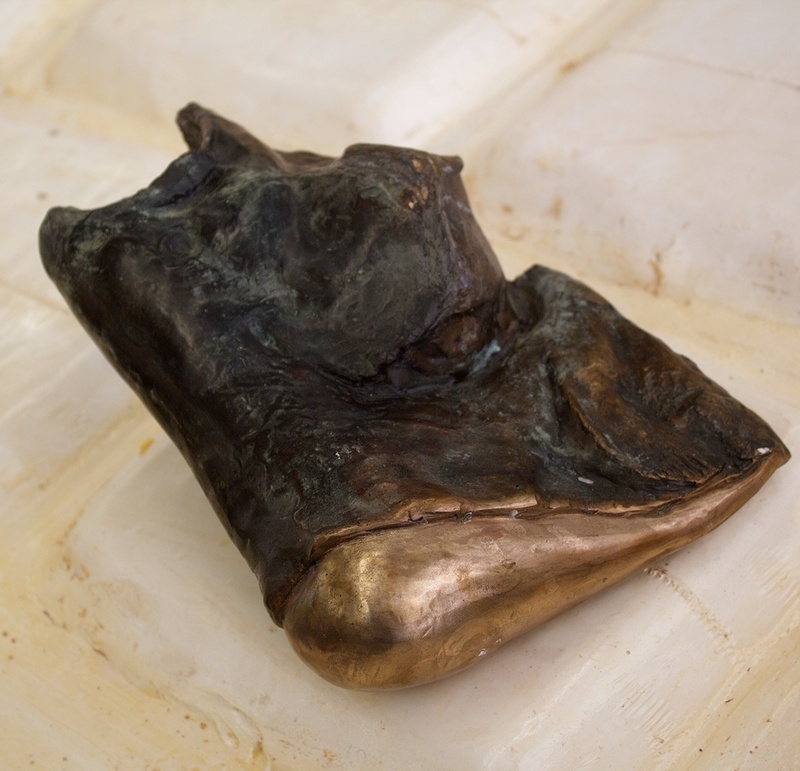 These are a series of image studies using highly representational means to explore the ways in which a living body could be obtained, priced, re-anatomized, and marketed but also how they could be memorialized, and de-commodified as cultural objects, or formal artifacts, separate from a traditional economic structure.